Congrats on the new place! I'm happy for you and I hope you get everything sorted out easily. This looks and sounds delicious! The coconut milk ganache is a great idea, perfect if you're baking for anyone vegan or dairy free, definitely going to bookmark this! Good luck settling into your new home. gretchen - It really was hard to resist eating it straight out of the pan before we look it to dinner! 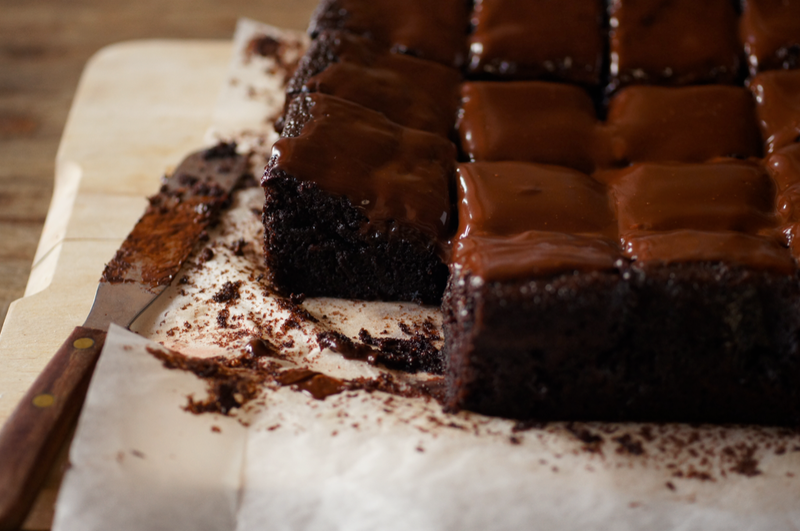 Sally - It was such a silky ganache, perfect for these shots - it did firm up after a few hours. hungryhinny - I hadn't thought about how perfect this would be for vegan/dairy free, thanks for pointing that out! thelittleloaf - It is almost like a nut-free brownie actually. I love the idea of using coconut milk in a chocolate sauce. Miss Kimbers - You can never have too much chocolate! That ganache is oozingly delicious!! Wow, this cake looks divinie!!!! 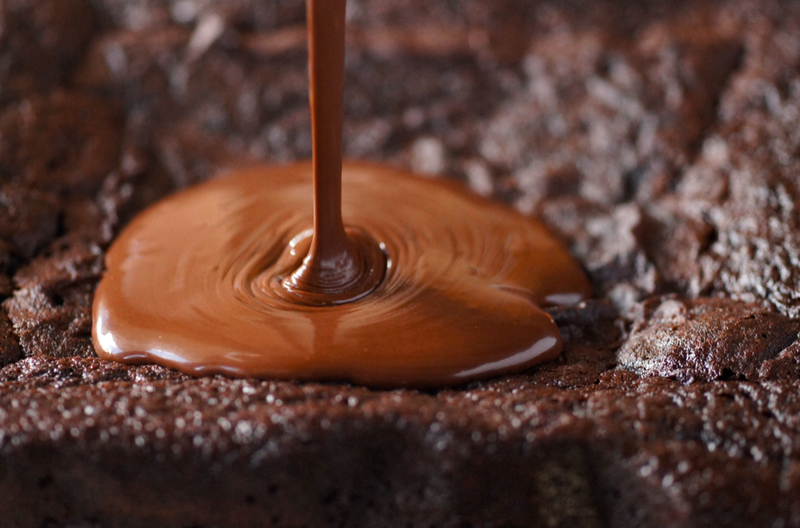 I love that closeup photo of the ganache oozing down the side. I want to lick it off my screen!! Yum. The use of coconut milk sounds really interesting. Can you taste the coconut? 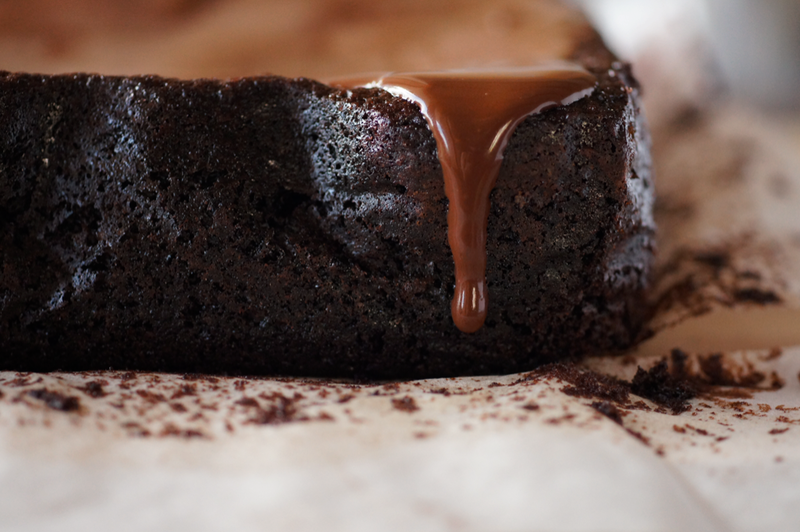 This looks moist and perfect! I have been wanting to bake with coconut milk for some time so this is great. I'm wondering if you think the butter could be subbed for vegetable oil? (Want to make it parve for certain dinner guests... long story). shayma - Sounds similar to the bounty bars we have here, though they only have the coconut. Can't think of any specific tips for dark things other than that they need good light or you'll loose detail. 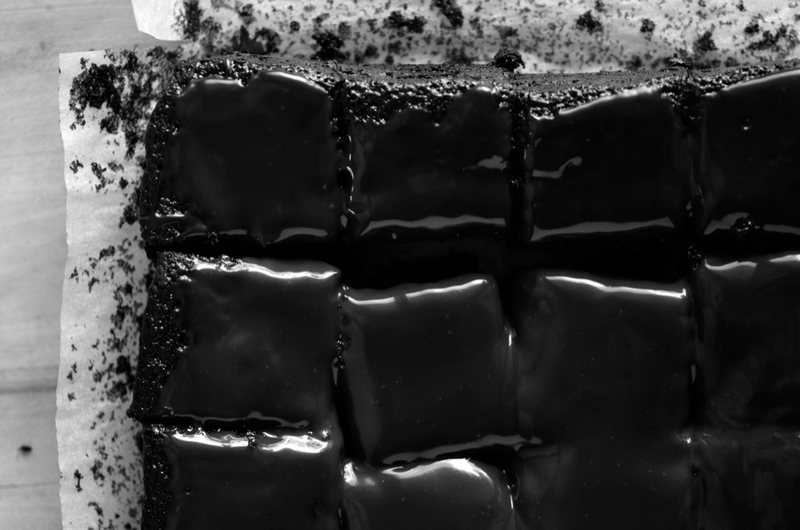 Nic - I loved the way it oozed - nothing quite like ganache! Steph - haha exactly! I wonder who actually thought of it first :P The cake is a great match for it. Jennifer - Glad you like the photos :) You can taste it, but it's subtle. Katherine Martinelli - I don't see why it couldn't be subbed for some non-flavoured oil, especially as it's already melted - I did think of trying coconut oil. Beautiful, yummy and downright perfect! Oh my goodness! I have died and gone to heaven! This is what Heaven looks like, right? Utterly delicious! Congrats on the move to the new flat in London Emma. Hope you'll be very happy! This looks utterly delicious! Love the pictures! Gorgeous is right!!!! Those pictures are KILLING me. Madison Mayberry - thank you Madison! You must try it, it's such a winner. Maria - I remember you're at Oxford - fine art isn't it? I'm doing the year long patisserie diploma at Cordon Bleu London. Hopefully it'll be good! Sara - It was tasty :) Do try. MeLikeyUK -Heheh well I don't know what heaven is like but I'd hope it has cakes like this one! Jolene - I hope not literally!! This looks absolutely devine, thanks for a great recipe idea! This looks delicious! Very chocolatey and a bit squidgy. Nom nom. oh boy oh boy oh boy! 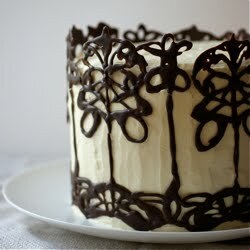 im so in love with this cake, can't wait to try make it! I'm sitting in my Dad's office and this cake makes it more tempting to go and put my apron on and start cooking! I had trouble with this recipe. It made quite a bit more than I would have thought to put into a 9x9 inch square and nearly baked over! It took almost 50 minutes before the middle stopped moving and even then it is something like a pudding crossed with a cake rather than a cake! I think it would have turned out lovely had I split it into two pans. It has a great flavor, but the texture leaves something to be desired. And I am stealing the ganache idea...yummy! I usually have coconut milk in the house - way more often than I do cream. Sara - Sorry to hear you had trouble. Maybe my 9x9 is deeper? It is more of a pudding than cake really (I served it as pudding) - if you look at my last picture it's very fudgy and rich. I probably should have made that clearer, sorry! Do you think it would work to replace the butter with olive oil? I am needing a dairy free cake and it is so close except for the butter! I am super excited to try the ganache! I love ganache and the fact that it is dairy free is totally awesome!!! Anon - I would try coconut oil personally (I've been wanting to try it anyway actually) but I imagine another oil would work too - though I'd go for a flavourless one if possible. Hope that helps! That is a great idea! I didn't even think of coconut oil! I bet that would work much better! Thank you so much! Anon - I'm so glad you enjoyed it! I don't have a cook book in the making, no, but I'm very touched that you asked!! Happy baking to you too. Wow! I reelly wish i cud just snap my fingers and mak it appear on my tabel. I luks lovly.sory about bad english. 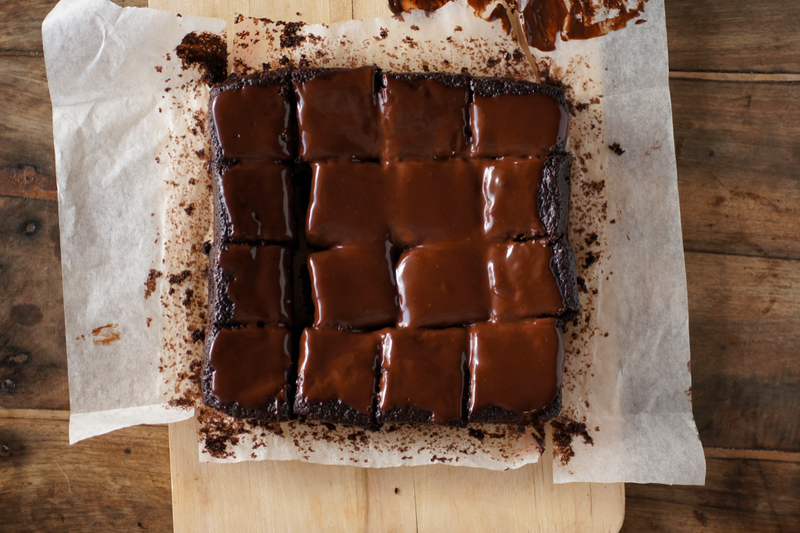 yes and if you do make a cook book, Make sure you have chocolate browny in it because then if it is as good as this then i would lov it. BIG chocolatte fan. my sister and brother make brownie whenever we can.and my brother just came and saw this meal and sed "Machen,dass jetzt bitter. "which means "mak that now please" so i wil stop typing and mak it now! This one has gone straight to the top of my dessert to do list. I eat, breath and sleep coconut. And adding it to chocolate well wow. Thank you. Most divine cake that I have ever tasted. Replaced the plain flour with spelt flour and used organic unrefined coconut oil instead of butter. Took a bit longer to bake but It was absolutely delicious. Thank you for the recipe! Ooh sounds great! Lovely changes. This cake was lovely, and so darkly chocolatey. I found that the coconut flavour didn't really come through, but perhaps contributed to the overall exotic and clean taste- I thought that it would go really well with coconut whipped cream (serve it with the whipped fatty part of a can of coconut). I'm glad you liked it. As you say, the coconut flavour is subtle - but I like it like that, as it can be a bit overpowering. 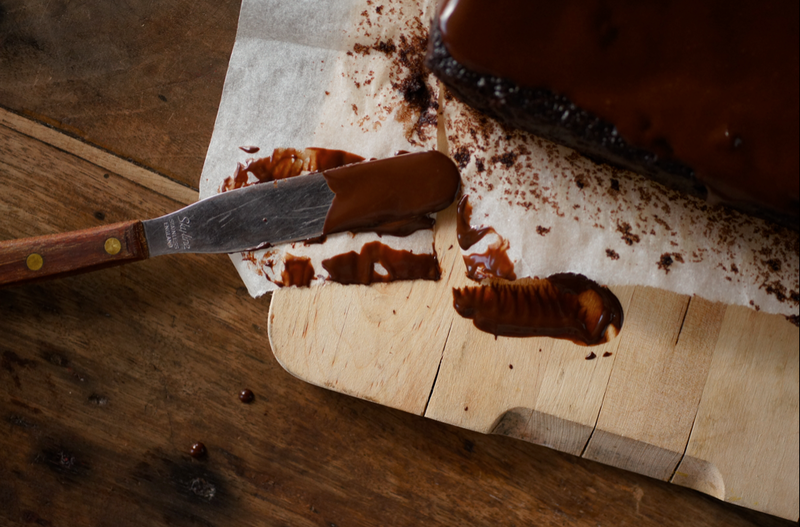 Did you make the ganache too? That adds a bit more coconut oomph. We tried this recipe and it was SUPERB! It was delicious. Normally, I don't like coconut but the taste was first class. You also explained it very well. THANK YOU! I'm so pleased you liked it Aidan - mum showed me a piece on Skype and it looked delicious! I'm thinking of using coconut oil instead of butter... What do you think? It's tasty &, smells Devine ! And, healthy too...anything to eat chocolate!!! Another great recipe Emma. I actually used approximated american measuring cups and still think my cake turned out very much like yours in picture. Like you mentioned as well, it's more pudding than a sturdy cake but mighty delicious. For the ganache because I didn't have enough coconut milk or chocolate, I just dumped whatever coconut cream I had with some cocoa powder and thinned it out a little with water, heated it a bit and added it to the cake as it was just out of the oven. It did exactly what I thought it would! The moisture just seeps into the top layer of the cake making it more like a self saucing pudding. I had my first slice hot and it was to die for. Thanks!